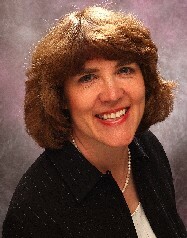 Dr. Linda Sheffield is a Regents Professor of Mathematics Education at Northern Kentucky University. She received her M. Ed. and Ph.D. in Mathematics Education from the University of Texas at Austin and her bachelor's degree from Iowa State University. She has written numerous books and articles for both teachers and students and has conducted seminars for teachers across the United States and as far away as Spain, Germany, England, Sicily, Japan, Australia, China, and Hungary. Her books include PreK – 2 NCTM Navigations series, a series of math problem solving books for children in third through eighth grade, an integrated math/science book for teachers of preschool through primary school children, and a math methods book for elementary and middle school teachers. She is past-president of the School Science and Mathematics Association (SSMA) and was chair of the Task Force on Promising Students for the National Council of Teachers of Mathematics (NCTM). She was also editor of the NCTM book, Developing Mathematically Promising Students. Dr. Sheffield directs the graduate program for teachers of the gifted at Northern Kentucky University and has conducted several grant-funded programs designed to encourage teachers and students in the areas of mathematics and science.